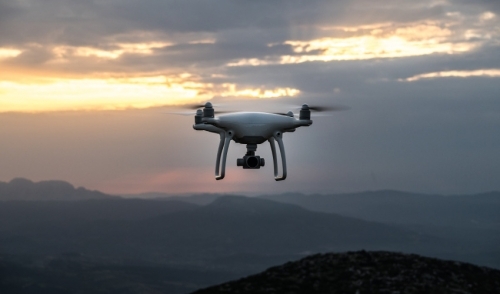 A recent NAHB survey discovered that the popularity of drones within the housing industry is not only growing — it’s skyrocketing. Two years ago, a similar survey revealed 22% of single-family builders had used a drone for business purposes. That portion has since soared to 46% of builders. The growth comes as no surprise to people like Jim Schaefer, owner of RealReach Marketing and Productions in Tampa, Fla. His company started flying drones about four years ago as an additional marketing tactic to offer his builder/developer clients. But that “premium” service, which was once a standalone product, has since become a standard feature of his company’s photography package. But even if everyone is doing it, not everyone is doing it well. Schaefer says many people underestimate how difficult it is to fly a drone, especially when the ultimate goal is to gather professional-quality aerial video footage. Even though he’s been operating drones for the better part of a decade, Schaefer admits it can sometimes be a struggle to get the right shot. And yes, there’s the occasional crash, too. He knows several people who own a drone but who admit they’re too afraid to fly them. Those apprehensions are somewhat justified: Just last week, one of Schaefer’s more expensive drones got into a scuffle with a nearby tree and had to be taken in for some costly repairs. Even if no accidents or injuries occur, a word of caution: The FAA regulates the commercial use of drones, and those who aren’t properly licensed to operate one could face heavy fines. NAHB Media includes drone videography as part of its menu of video production offerings and offers discounted rates to HBAs and NAHB members. Contact Executive Producer Jeff Bankert at 202-266-8077 to learn more.